Being a successful sustainability entrepreneur in tourism is not easy. The best way to make it work is to be aware of the many potential pitfalls and to learn from the mistakes of others. We asked our virtual expert panel to identify the key challenges sustainable tourism entrepreneurs frequently face during their start-up period and later on, in small business management. Tip: Our Information Scout service is designed to help entrepreneurs and owners of small tourism businesses stay up to date on latest trends, tricks and good practice examples. A great option for those who don’t have the time to attend conferences. Ordered by importance (number of mentions), here the main challenges which our panel considers the most likely to threaten entrepreneurial success linked to tourism and sustainability. Getting communication and marketing right is – in the eyes of our panel – the main challenge for sustainable tourism entrepreneurs to tackle. Telling people what you do and how you do it without using false claims and greenwashing is an art by itself. It requires storytelling skills and a good sense of how you can communicate “sustainability” through that story. 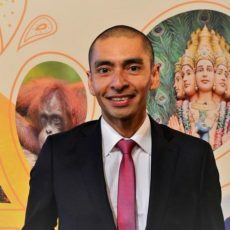 Because “sustainability” is an internal, managerial concept, it might sell well in your business to business communication and negotiations, but isn’t very suitable for communicating with visitors or guests. The challenge is to understand your consumer market and to find ways to tell your sustainability story by making people feel good about themselves. In fact, as entrepreneur your story can become as important as what you sell. You want to be perceived as authentic, but not as game spoiler or eco-police. You’ll want to encourage without preaching. A real juggling act. Doing good things and at the same time doing well financially can be a tough challenge for sustainability entrepreneurs, but there is no way around it. It starts with collecting the necessary funds for setting up, which for small operations can be risky, especially in highly competitive markets such as tourism. Investors will expect a return, which might not always work well with the entrepreneur’s desire to focus on sustainability – a strategy which tends to pay off in the long run. Making it through the first 2-3 years, financially, is by far the biggest challenge of any entrepreneur. Limited knowledge about or access to adequate finance, sponsors, grants or funds are factors which can make entrepreneurial success in sustainable tourism a challenge. 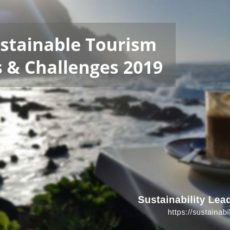 Finding the right people to join the team is the third main challenge sustainability entrepreneurs in tourism face, according to our virtual expert panel. The reason is that entrepreneurs influence their business through their vision and character, often make decisions instinctively and true to their convictions. Finding business partners or associates who believe in the idea, follow the vision and know how tho channel the entrepreneur’s drive and energy into operational success – a challenging task. It can be hard for entrepreneurs to make room for partners and to delegate tasks, because of fear of being let down. As one panelist noted, there is a tendency towards not relying on the skills of your colleagues. Unlike cash flow, relationships are hard to control. Reliable professional relationships which last for more than 2-3 years are crucial for building a business. But even the strongest supporters might move on and leave years of close collaboration behind. Linked to the challenge of finding the right team, if your suppliers or other business partners are unsupportive, or (if you are an intrapreneur at a larger organization) senior management does not fully support your ideas, then your work as sustainability entrepreneur in tourism won’t have full impact. In the case of supply chains, this has a lot to do with size and purchasing power. Start-up businesses often find it difficult to influence the supply chain, or to implement new ideas and press for behavioral change. It is possible, but will take time. 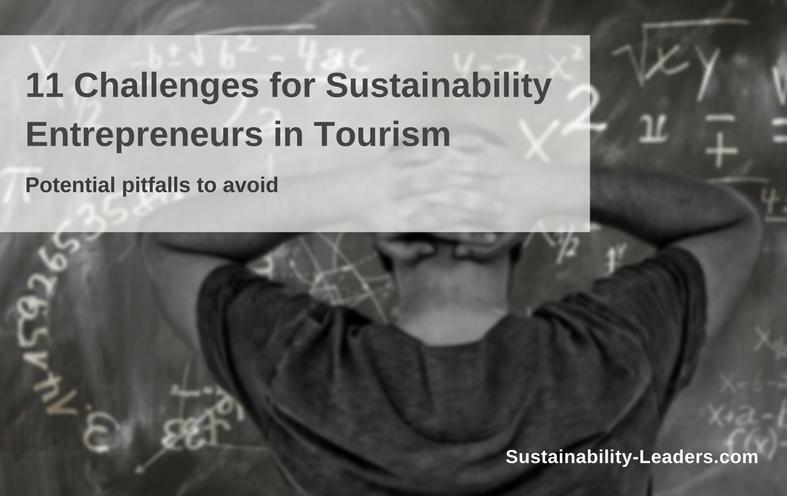 Insufficient (access to) knowledge is the fifth reason why succeeding as sustainability entrepreneur in tourism can be a challenge. As one panelist mentioned, tourism is for passionate people, but not for amateurs. Learning about sources, supply chain and processes on top of all the other tasks start-up businesses face can be tough. The challenge grows where training is not available, or where women are denied access to training opportunities. Almost all entrepreneurs in tourism lack access to latest research, studies, examples and benchmarking opportunities. Entrepreneurs are almost always passionate people, but not always good at sitting down and writing up a business plan to support their ideas, and which will later help them to monitor their performance. This can become a challenge when short-term planning takes priority over long-term strategies. Our panel advises entrepreneurs to test your business plan with people you trust and who won’t be afraid to tell you what they really think. Thinking big is what successful entrepreneurs are good at. The challenge is that your idea might be ahead of its time, and your market not quite ready for it – which can lead to disappointment. To succeed, sustainability entrepreneurs in tourism need to be flexible and adjust expectations to the realities which surround them. Patience, energy a sense for the right timing will get you there. Even if as entrepreneur you have the knowledge, skills and energy to implement sustainability solutions at your business or destination, you might find yourself slowed down by a lack of facilities and infrastructure. A classical example – also mentioned by the panel – is recycling. If your community or region has no recycling facilities, then you as business owner who wants to recycle as part of your sustainability strategy will find it hard to succeed. Considering the amount of potential pitfalls, no wonder that entrepreneurs often find it challenging to keep their head clear of all the clutter and to maintain their integrity. It takes a lot of conviction and inner strength to stay true to your beliefs if competitors imitate your best practices, reduce your competitive advantage and force you to focus on business survival. Linked to challenge number 9, entrepreneurs are innovators. Sustainability innovations can generate good competitive advantage for your business. The challenge is to maintain it, especially if you sell your idea to the broader tourism business community. This puts entrepreneurs under pressure to continuously keep innovating, which can be stressful. Another threat to competitive advantage and success as sustainability entrepreneur in tourism is when your competitors are offered incentives which you don’t enjoy. If this is your case, good communication and storytelling will be more important than ever. Lastly, sustainability entrepreneurs are sought-after as motivational speakers and panel participants, which poses a challenge. Every minute they spend talking about their work in other places means a minute lost for business management and development. The key to success lies in the 14 characteristics of successful sustainability entrepreneurs in tourism. Albert Salman (Netherlands), Alex Tsuk (Indonesia), Antonio Abreu (Portugal), Ariane Janér (Brazil), Asma Rasheed (Maldives), Brian Mullis (USA), Dagmar Lund-Durlacher (Austria), Eduard Mueller (Costa Rica), Fiona Jeffery (UK), Gavin Bate (UK), Gianna Moscardo (Australia), Karen Kuhl (Nicaragua), Kelly Bricker (USA), Kevin Teng (Singapore), Louise Twining-Ward (USA), Maria Lougari (Greece), Mariana Madureira (Brazil), Masaru Takayama (Japan), Paul Peeters (Netherlands), Peter Richards (Myanmar), Philippe Moreau (Portugal), Rachel Dodds (Canada), Richard Butler (UK), Ronald Sanabria (Costa Rica), Shannon Guihan (Canada), Steve Noakes (Australia), Tricia Barnett (UK), Vicente Ferreyra Acosta (Mexico). 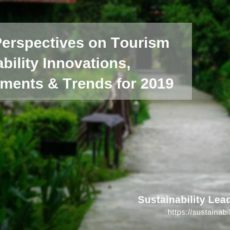 Enjoyed this snapshot of expert views on the key challenges sustainability entrepreneurs in tourism have to overcome? Spread the word!